We have the road signs that you need to purchase for your Lakeland, FL property, and we have the equipment and professionals to properly install them for you. Road Signs, Lakeland – Road signs are an important part of any system of travel. They tell us where to stop, what to watch out for, and even when to be more cautious. If you run a business or manage a property, you are required by law to have proper road signs on your property in order to help keep customers and residents safe. 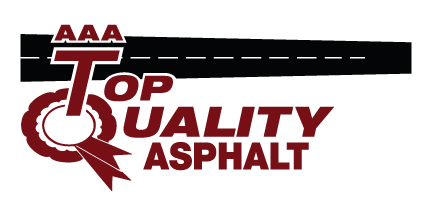 With our team at AAA Top Quality Asphalt in Lakeland, Florida on your side, you can ignore the guesswork of what signs you need and where they need to be placed. We have the road signs that you need to purchase for your property, and we have the equipment and professionals to properly install them for you. Our contractors know the details of the laws about spacing and height, so you will not have to spend the time doing the research. Instead you can trust us to get the job done. Along with road signs, we offer custom and standard parking lot signs. These work great for assigned parking or driving directions. If you are in need of any other parking lot services, we are your one-stop-shop! From excavating to parking lot striping and signs, we have you covered. We are the experts in asphalt paving and repair, and we even offer asphalt sealing to prolong the life of your parking lot. We serve Lakeland and areas within a 50-mile radius. We are the best in the business and have many satisfied customers to prove it. We know that in your business, you put your customers first, and we feel the same way about ours. We guarantee fast and quality work that will leave you happy. Here at AAA Top Quality Asphalt we provide quality Road Signs for customers in and around Lakeland, Brandon, Tampa, Winter Haven and Clermont, Florida!